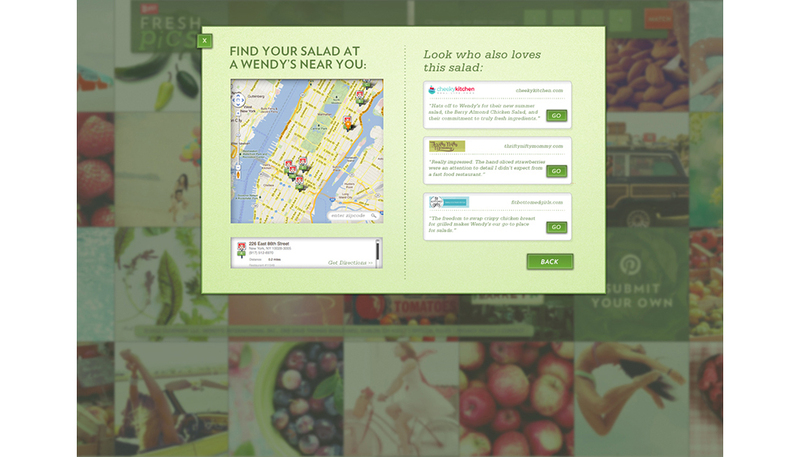 When asked to create an engaging online experience that targets our Wendy's salad consumer, women, we created a site where our consumer could find her perfect salad from Wendy's lineup of offerings based on what they're feeling. Users select the "ingredients" that make up their ideal salad to find their perfect match. In the mood for some adventure? And some fresh avocado? How about a Baja Salad. Feel like some summertime sweetness? The Berry Almond Chicken Salad is a perfect fit. This visual mood board is not only beautiful, but picks up on the simple insight of choosing what you eat based on how you're feeling.